Your Sept. 6 syndicated article “Fear of robots taking jobs spurs a bold idea: guaranteed income” compelled a response. This “bold idea” entails yet another tax on Hawaii’s already heavily taxed tourist industry to fund another government entitlement. Bold? Sounds suspiciously familiar; yet with inevitable catastrophic consequences. Given a guaranteed level of income to sustain a basic standard of living in “paradise,” how many would simply opt out of working? How many workers in the tourist industry — the very lifeblood of guaranteed income — would it take to opt out of working before that industry collapses, making guaranteed income unsustainable? Funded by additional hotel taxes, vacations to Hawaii will cost much more. Many travelers will invariably select other destinations causing a drop in Hawaii’s hotel revenues. With diminishing revenues, hotel taxes will need to increase to keep pace with Hawaii’s new entitlement obligations. Hawaii vacation costs would further escalate creating a vicious cycle. Such a large scale entitlement would also likely result in rampant inflation and other compounding vicious cycles accelerating Hawaii’s inevitable economic demise. If necessity is the mother of invention, Hawaii would create a population of orphans. In the history-based movie “Hidden Figures,” a group of women facing technological unemployment were motivated to create a new computer programming training course. Necessity “mothered” a work force of computer programmers to keep up with technology. With guaranteed income, Hawaiian workers will have little incentive to train for, let alone innovate, novel jobs. The Alzheimer’s Association estimates there are more than five million Americans living with Alzheimer’s disease and more than 15 million Alzheimer’s caregivers. As a Registered Nurse and recently licensed Nurse Practitioner I have seen so many patients and families struggling with this disease. The human toll of Alzheimer’s is obvious. Alzheimer’s is the sixth leading cause of death in the U.S. and there is no way to prevent, cure or even slow its progression. In addition, according to the Alzheimer’s Association report “2017 Alzheimer’s Disease Facts and Figures,” Alzheimer’s deaths nearly doubled in the last 14 years. The report also revealed that Alzheimer’s-related costs soared to $259 billion in 2017, $175 billion of which come in direct costs to Medicare and Medicaid. That’s why I am urging U.S. Senator Michael Bennet and U.S. Representative Jared Polis to continue being champions in the fight against Alzheimer’s and support a $414 million increase for federal Alzheimer’s research funding for FY18. It is only through adequate funding of research efforts that we will discover a way to prevent and effectively treat Alzheimer’s — saving lives and the federal budget. 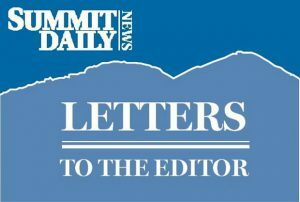 As the director of the Alpine Area Agency on Aging, I am writing to urge you to provide valuable input on policy affecting older adults in our community. Did you know Summit County is expected to see a 199 percent increase in adults 65 and older by 2050? According to the FrameWorks Institute, “Greater longevity, changing family structures, a shrinking workforce, more ethnic and racial diversity are all realities that require thoughtful policies if Americans are to meet the challenge of intergenerational interdependence.” With this in mind, your input may shape how our region and state best prepares for population change. The governor appointed Strategic Action Planning Group on Aging is holding a series of regional “Conversations on Aging.” Our region will host the second meeting on Wednesday, Sept. 13, at the Summit County Community and Senior Center in Frisco, from 1-4 p.m. The meeting seeks to hear voices from seniors, caregivers, service providers, advocates, the business community, public officials and anyone who is interested in talking about the changes in our economic and cultural life that affects generations. Overall, the planning group is charged with studying and making recommendations on key issues such as caregiving, transportation, workforce, budgets, the economy and related federal programs. The action plan submitted to the state in November 2016 contained nine recommendations and your input on Sept. 13 will help craft the next set of recommendations to be implemented statewide. This is your opportunity to make sure the mountain region’s voice is reflected in the state plan. I urge you to attend this important meeting. You may register by emailing agingstrategy@state.co.us or calling 970-468-0295 (ext. 122). You may also learn more about the action plan and Planning Group by going toColorado.gov/AgingStrategy and the Alpine Area Agency on Aging at AlpineAAA.org.